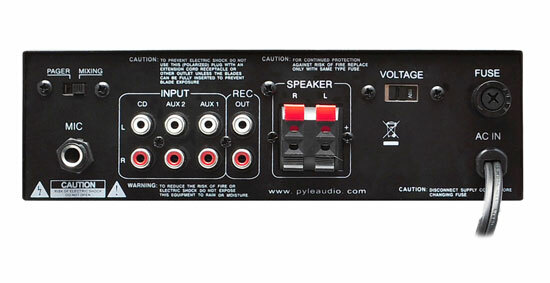 Pyle PTAU55 Home Amplifier is perfect for powering any stereo system. 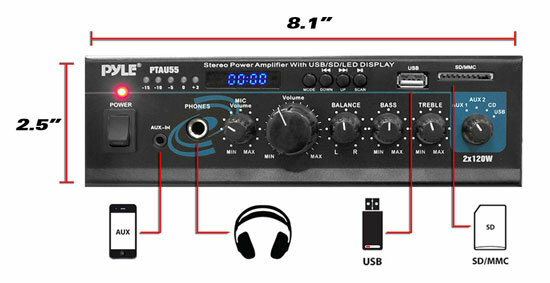 Complete with SD Memory and USB Flash readers, AUX, CD & Mic inputs. 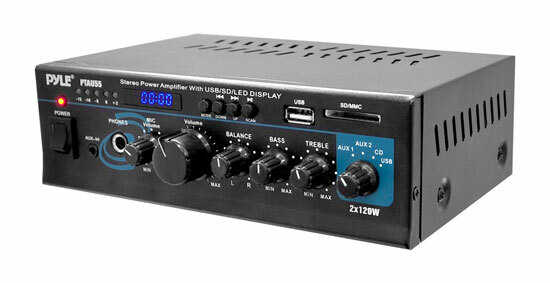 Boosting an impressive 2 x 120 watts of power -- simple to use and durable amp has bass and treble controls, blue LED output level display, RCA REC output, 1/4" Mic input, 1/4" Headphone output and plenty more features. Using sophisticated circuitry and premium components for uncompromising musicality - delivers powerful and accurate sound production. 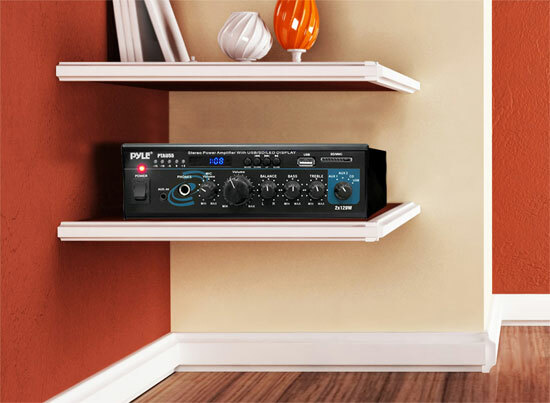 This compact amp impresses and delivers clear and crisp sounds for all of your audio needs. Durable and affordable, this amp is made with performance in mind.